Is a long rocky canoe portage with dehydrated food not your thing? Car camping is one of the best ways to enjoy the great outdoors without all the fuss and work involved in planning a backcountry trip. 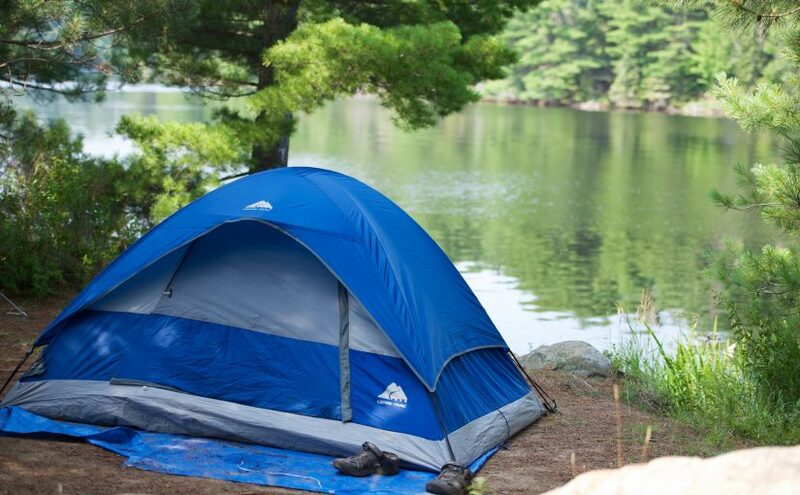 We are lucky to live in a province that offers Parks with tent and trailer sites and many interesting features including sandy beaches, great fishing, hiking trails, canoeing adventures and activities with park staff where you can learn more about the ecology and geography of the area. Though sometimes staying in a campground can feel a little too communal and noisy, some basic good behaviour can go along way to ensuring your vacation has that “getting away from it all” feeling. Car doors closing, car alarms, using a remote to lock the doors that beeps loudly or driving, these are normal sounds in an urban environment. 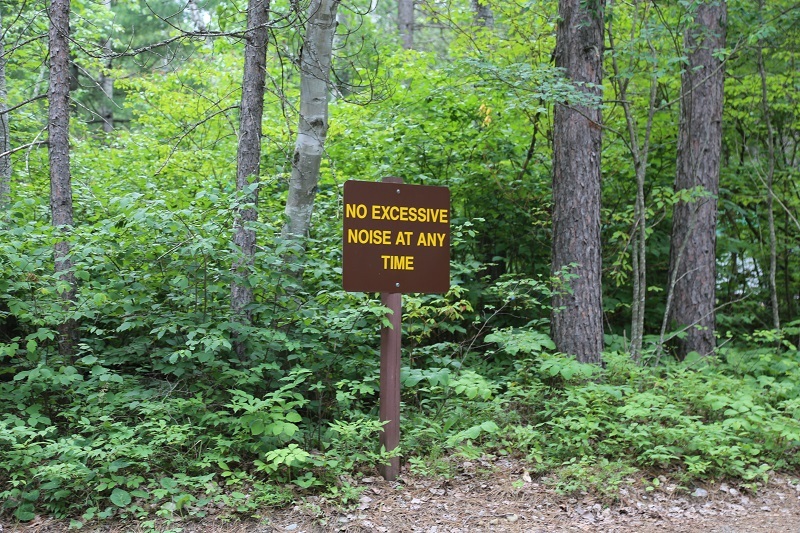 In a Park, these sounds can break the stillness of a sunset quickly. If we are mindful of our neighbours and minimize the number of times we do access and drive our vehicle, we can greatly reduce this annoying noise. Many people love music. What’s your favourite type? Classical? Heavy rock? Country? Everyone has a unique preference. We all hear music when it is played in the campground and it will quickly paint you as the bad neighbour. You can still enjoy music while camping, just pull out your headphones to listen to your fav tunes. Or better yet, leave it at home and listen to the sounds of being outdoors like the loons calling or a crackling campfire. At midnight, around the campfire, with six friends laughing about the time you belly flopped off the diving board and broke your arm, is not the story neighbours would like to hear. They are sleeping and tent walls are not good noise barriers. Check out the quiet hours of the Park and observe those hours. And remember, adult beverages can impair voices and hearing. At dawn, go for a walk, take photos or read a book and enjoy the sun rising over a peaceful lake. Well, using vehicle headlights as a flashlight. Yes, it happens. The lights come on and you bolt awake in your tent from a deep sleep wondering what happened to your night time darkness? Turns out the neighbours needed additional light. Use your flashlight and equip every member of your family with one. The campfire pit, the dishes, dog’s excrement etc. Turning your car off after pulling up to your campsite, you step out, stretch and start imagining a great campfire with roasted marshmallows, until you notice your fire pit full of someone else’s garbage. It’s upsetting and irritating. Dispose of garbage in the bag provided. Recycle at the garbage stations. Use the right place to dispose of dog excrement. In a campground, some space is shared such as the comfort stations, the beach, the outhouses and garbage areas. Leaving those areas clean for the next person makes camping much more enjoyable. 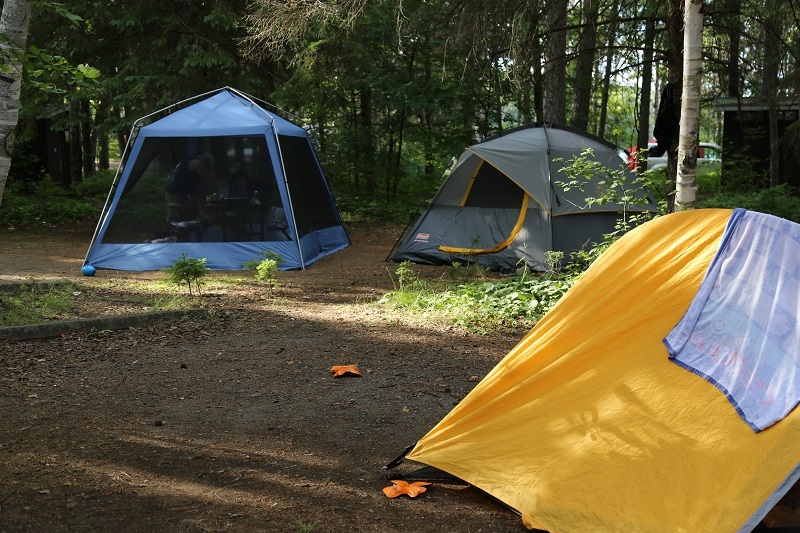 Most people think of their campsite as personal space for the duration of their stay. You set up a clothesline, hang swimsuits, pitch your tent and generally establish how you want to organize your camp for the time you are there. Then a neighbour walks through your campsite to access the nearby water tap. Hmmm… that is not very respectful. Use the proper path to get to the water taps, the comfort stations, the outhouses. Be mindful of other campers’ space. Taking children camping is a wonderful way for them to fall in love with the outdoors. If your children love to yell and shriek, take them to the beach or to the playground area where that kind of loud noise is not noticeable. Bring what some people call a “bored box” – a tote with colouring books and pencils, board games, cards etc. – something to ensure that when a quieter activity is needed, there are options. Educate your kids about living in close proximity to others. Not everyone loves your dog or cat like you do. Barking or the sound of cats fighting are all noises that can irritate neighbours quickly. Keep your pets leashed. Following basic car camping etiquette results in a great experience and a fun vacation for everyone! Article by Lesley Cassidy, Ottawa.